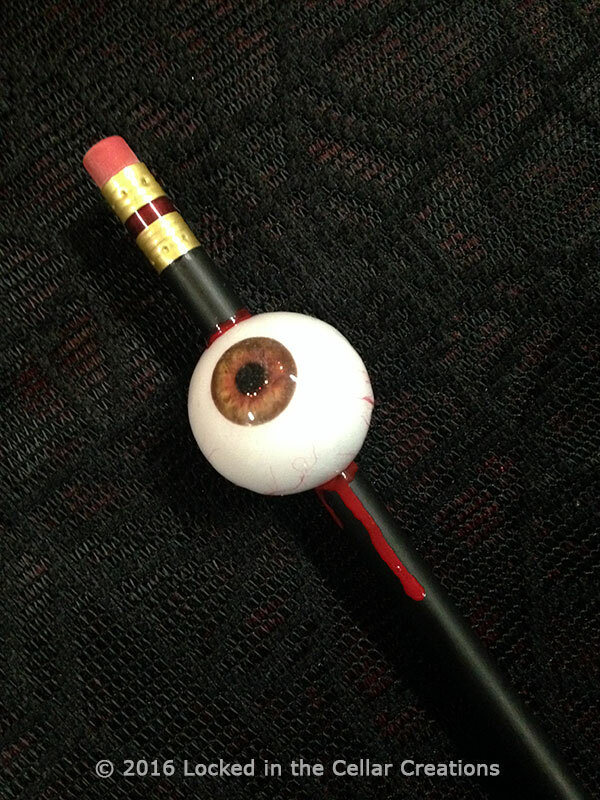 Keep an eye on your work while grossing out all your classmates / teachers / co-workers by writing with a pencil that has an eyeball dripping with blood impaled on it. 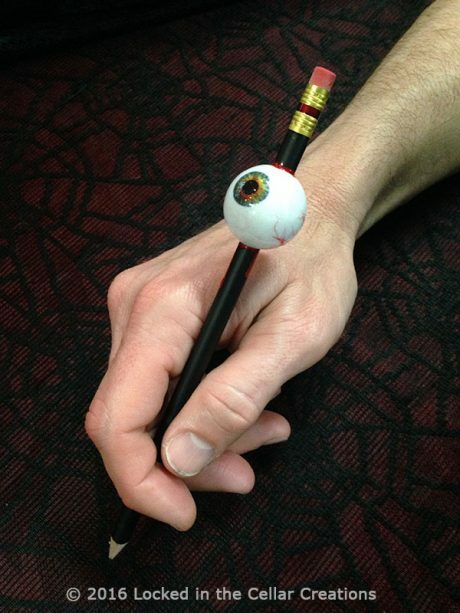 Our hand made eyeballs are light weight and have a detailed iris and realistic capillaries. 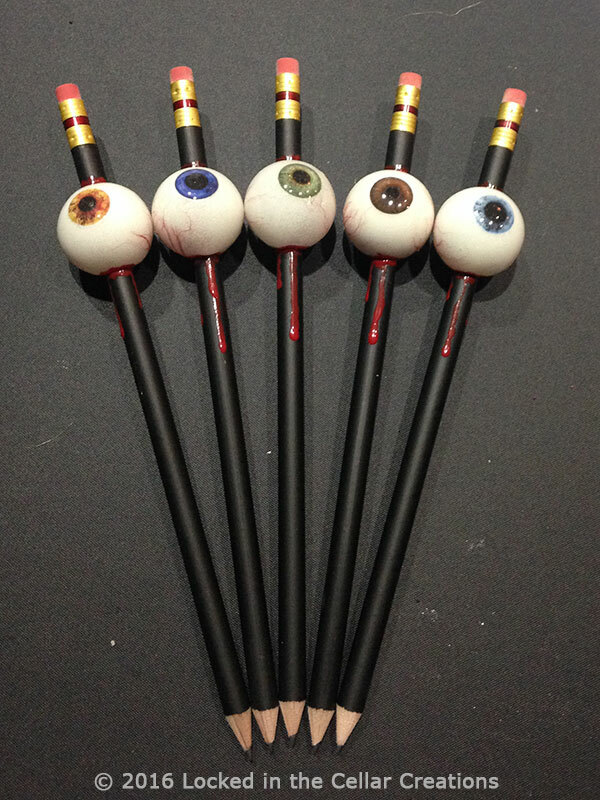 They are finished with glossy blood drips and lots of blood splatter. 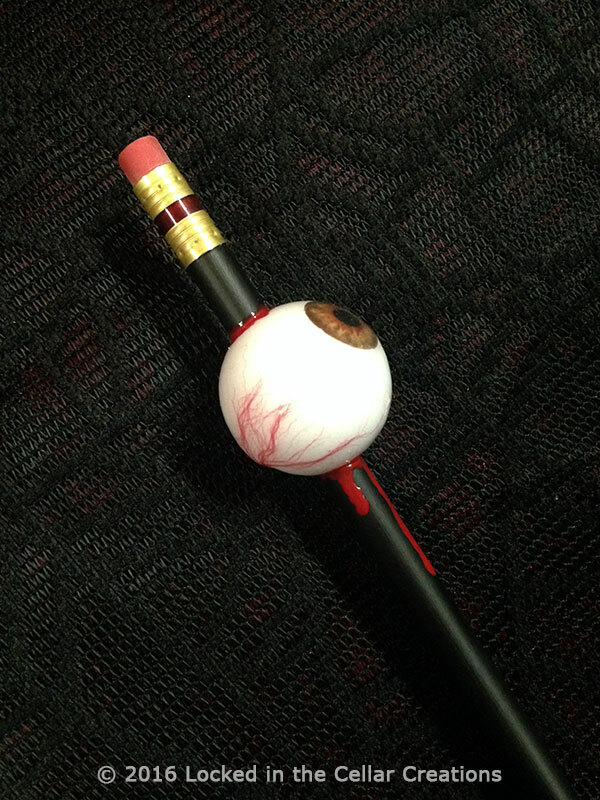 We currently do not offer an eye colour selection for the Eyeball Pencils, but if you have a preference for an eye colour, please include that in your order notes, and we will let you know if we have it in stock.